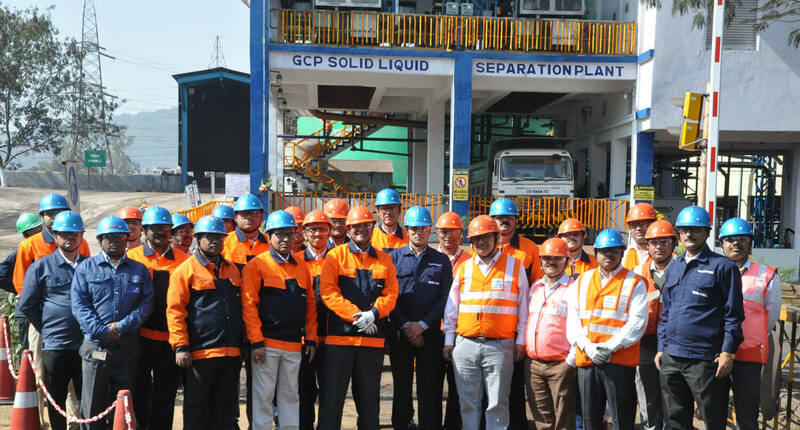 Tata Steel has unveiled the Solid Liquid Separation (SLS) Plant for Gas Cleaning Plant (GCP) slurry at its Ferro Alloys Plant (FAP) at Joda, in Keonjhar district, Odisha. SLS Plant was inaugurated on January 29 by Rajeev Singhal, Vice President, (Raw Materials), Tata Steel, in the presence of M C Thomas, Executive-In-Charge, Ferro Alloys and Minerals Division (FAMD), R R Satpathy, General Manager, Operations, FAMD, Tata Steel, G P Sahu, Head, FAP, Joda and others. Speaking about the initiative, Singhal said that as a responsible corporate Tata Steel had been undertaking several such initiatives that contributed towards sustainability of the environment. The SLS Plant, besides conserving water, would prevent water from sludge pits percolating into ground and contaminating ground water. Installed at a cost of nearly Rs 8 crore at FAP, Joda the SLS Plant is an environment-friendly initiative, set to recover manganese-rich solid from the wet gas cleaning plant slurry. Water recovered by the processing of GCP slurry will be fully recycled, leading to water conservation to the tune of 15 cubic metre per hour. Also, the recovery of manganese-rich solids makes it possible to recycle the same, for production of Ferro Manganese. It helps conserve valuable high-grade manganese ore and use lower grade of Fe-rich manganese ore. Manganese-rich solid cakes from the new SLS Plant will be used for production of Ferro Manganese after suitable agglomeration. FAP-Joda, set up in 1958 with an installed capacity 36 KMT, presently produces 50 KMT of High Carbon Ferro Manganese per annum.